Because of the late roll out of entry forms, we will be accepting entries up to and on the day. ← Lap Dash around the corner!! Yes, add me to your updates list. 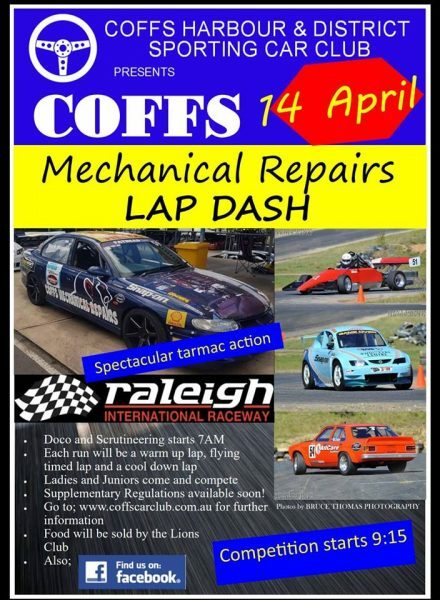 Sporting car events are held in and around Coffs Harbour on a regular basis and we hold meetings 3rd Wednesday each month @ The Coast Hotel, 2 Moonee Street commencing 7.30 pm. Lap Dash around the corner! !